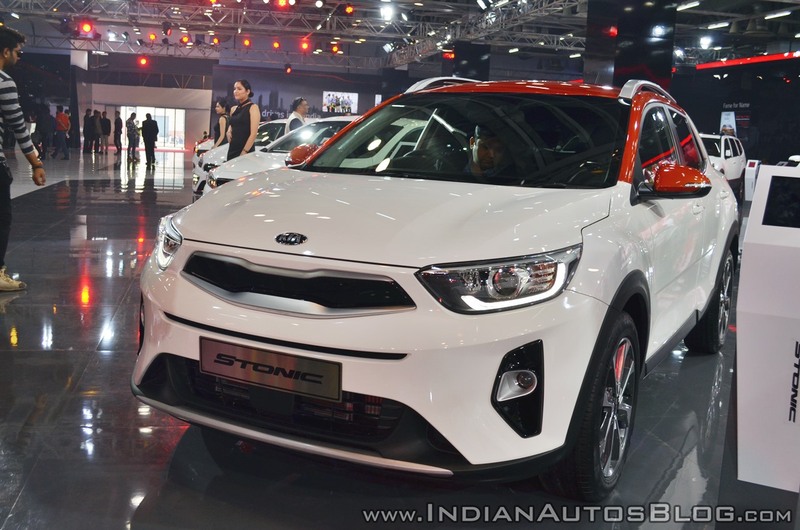 The Kia Stonic has made its Indian debut at Auto Expo 2018. Introduced in June last year, the new SUV falls in the B-segment internationally. The Kia Stonic measures 4,140 mm in length, 1,760 mm in width and 1,520 mm in height. 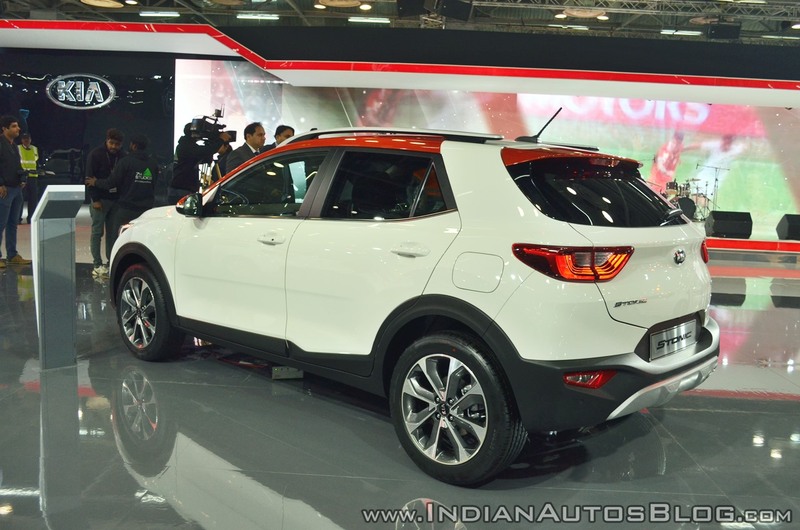 The compact crossover has a 2,580 mm wheelbase. It is underpinned by the same platform as the fourth-gen Kia Rio. Kia offers it with four engines: 1.0L T-GDi petrol (120 PS/172 Nm), 1.2L MPi petrol (84 PS/122 Nm), 1.4L MPi petrol (100 PS/133 Nm) and 1.6L CRDi diesel (110 PS/260 Nm). 5-speed manual, 6-speed manual and 7-speed dual-clutch automatic are the transmission choices. FWD is the standard drivetrain layout in all configurations. On the outside, the Kia Stonic features bi-function projector headlights, projector fog lights (front), silver skid plates, electrically foldable and adjusting mirrors, 17-inch alloy wheels, LED rear combination lights and roof rails. Automatic climate control, 7-inch touchscreen infotainment system with Apple CarPlay, Android Auto and satellite navigation, 6-speaker sound system, D-cut steering wheel and stainless steel pedals are some of the main interior features. The Kia Stonic is now on sale internationally, but its Indian launch still remains unconfirmed. Kia will enter the Indian market with the Kia SP Concept’s production version in the second half of 2019.